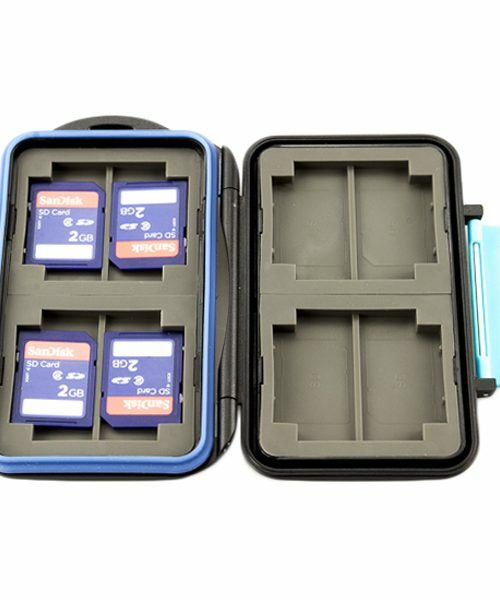 Sturdy and water-resistant case for up to 8 SD or 4 CF cards. 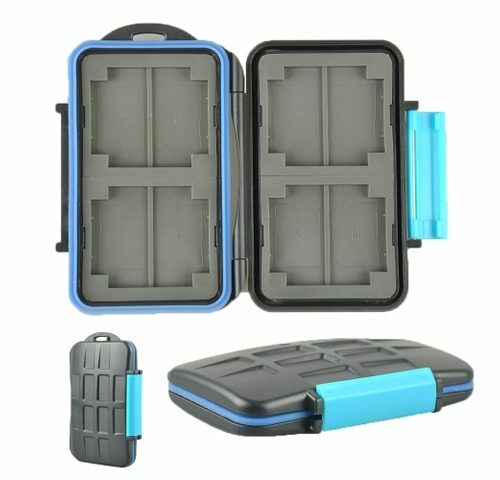 This sturdy, waterproof memory card case is able to carry and store up to 8 PCS Secure Digital (SD) memory cards or up to 4 PCS Compact Flash (CF) cards. It’s made of tough Polycarbonate resin. 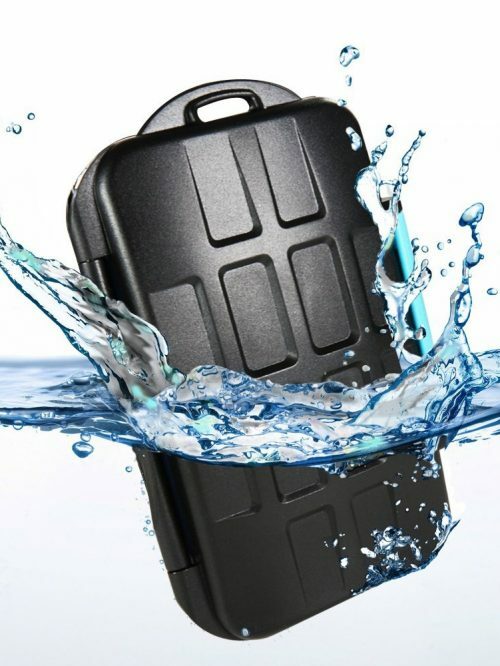 The inner liner absorbs shock and protects the cards from almost any harm such as impact, dirt, moisture or water.